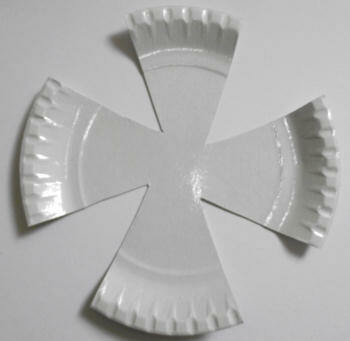 Draw a small circle in the centre of your plate. 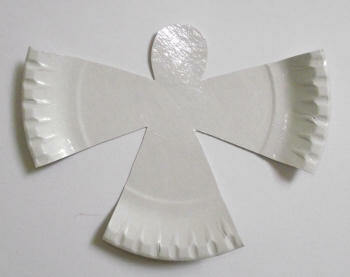 Cut 4 triangles from the outside of the plate to a point at the inner circle. This will leave you with 4 spokes. Cut one of the spokes into a circle to make head shape. Stick gold card or paper behind the head to form a halo. 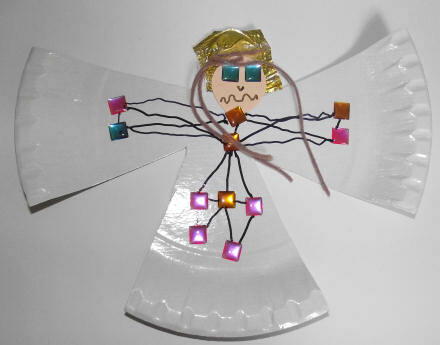 Stick a circle of flesh coloured card on top for the head and some wool lengths for the angel's hair. 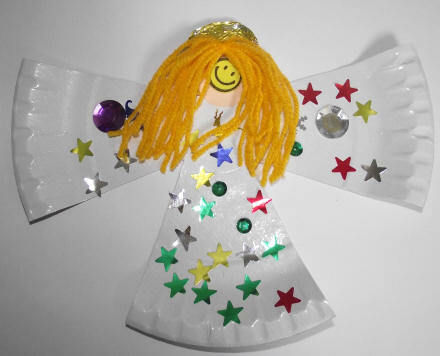 Decorate the wings with sequins, stickers, pens and anything else you have to hand.